Villa Angela is a beautiful spacious villa which can be hired by floor or as a whole. There is a beautiful living room with an open fireplace on both floors. 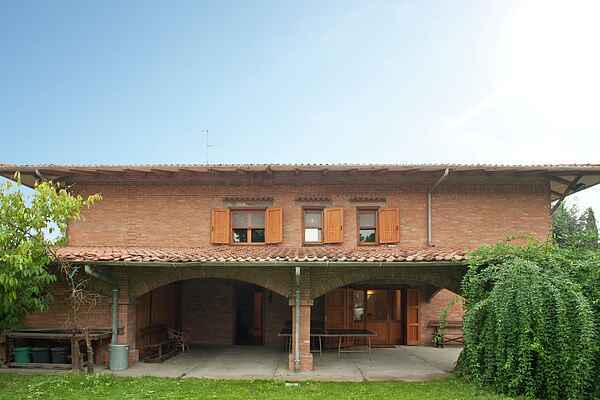 The villa is at the top of a hill 360 metres above sea level only 10 minutes from the town of Cesena. The view is spectacular, you see a large part of the Adriatic coast from Rimini to Milano Marittima. The house is surrounded by a forest that belongs to the house, complete with walking paths. If you are lucky you can also see deer walking undisrupted through the forest. There are innumerable day trips to be made from the villa. 30 minutes away is Cesenatico with its beautiful beaches and an hour away, San Marino beckons with its medieval fortress. Excursions around the house include the fortress of Cesena, the famous Malatestian library (Unesco world heritage site), and the market every Wednesday and Saturday on the historic Piazza del Popolo in the centre of Cesena, with more than 300 stalls. For the young there are many fun parks, such as Mirabilandia, Oltremare, Acquafan e Fiabilandia. There are many events and local festivals in the area, and only 2 km away there are restaurants serving typical Romagna dishes.